Florsheim & co. is a shoe company that was conceived in 1892 by Milton Florsheim. Production of shoes started in a small factory building that was located in the city of Chicago, Illinois. The first ever pairs of shoes made by Florsheim under the watchful eyes of Milton and Sigmund the father were impressive to the eyes, providing unmatched comfort to the feet of the wearer. The shoes overall design and workmanship stood out of in a crowd compared to other brands of lesser quality. Footwear offered by the Florsheim Shoe Company is made available in a variety of widths, sizes, colors, and designs. 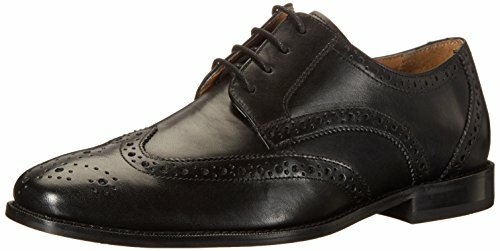 The overall built quality, impressive craftsmanship and built to the last finishing ensures that this will be a pair of dress shoes that will last you for years.The Montinaro Oxford Wingtips from the house of Florsheim are made entirely from 100% genuine leather which is coupled with a synthetic sole that ensures longevity and durability. The overall flexibility factor of the shoes adds to the appeal for the shoes among the masses. The comfortable fit, the added traction are some of the features of the pair of shoes from Florsheim. 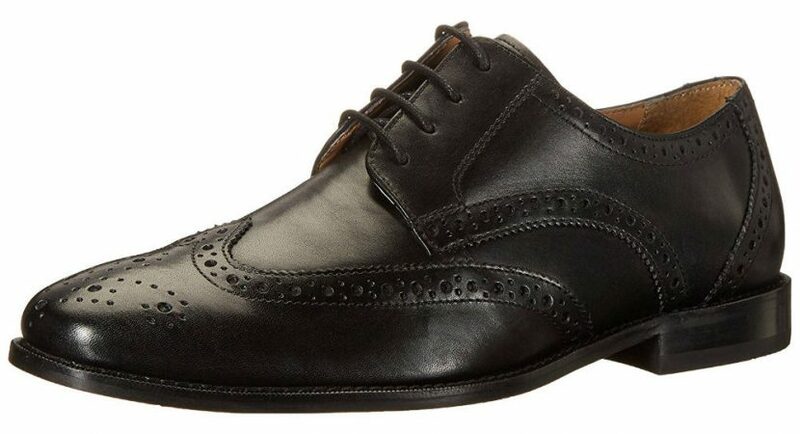 This article will be reviewing the Montinaro Wingtip Oxford from the house of Florsheim. An unbiased account of the product will be provided based on the features and specifications of the same. The shoe’s leather is beautifully designed in brogue with a medallion-shaped toe section and pickings on the overlays of the edges. The stitching is done on the shoes in such a manner that the wearer won’t be uncomfortable on hot and humid days. The breathability factor of the shoes has been increased a notch higher than that of its predecessors. The antiques and classy appearance of the shoes are not at all artificial. This is due to the fact that the shoes are hand-stitched and finished manually by the artisans at the manufacturing unit of the company. The whole shell of the shoe including the outer linings and inner linings are made from 100% genuine leather. The leather material is specially treated for providing protection to the wearer against the elements and water. The overall stitching made on the shoe is done in such a way that the interiors of the shoe can breathe. Moisture is the biggest enemy of leather and for your skin. Entrapped moisture, sweat can lead to skin infections, rashes, and even fungal growth within the leather footwear. The breathability feature in this pair of shoes makes extended hours on your feet more tolerable. Since the feet support the entire weight of your body, the footwear that you choose should provide ample support and comfort to them as well. The whole weight of the body rests mainly on the heels and the toe section of the foot, but especially on the heels. Therefore, any footwears heel section should not be hard enough that could cause any long-term side effects or pain. The footbed is equipped with a fully cushioned, memory foam insert that makes sure the heels are well taken care of. The soles of these shoes are made from synthetic material that increases overall longevity and shelf life of the shoes. A synthetic sole also maximizes the flexibility factor of the shoes thereby allowing the individual to bend the sole of the shoe to extended angles without damaging the same. The sole is equipped with an anti-skid property that provides increased traction and grip to the wearer in wet weather. This pair of oxford shoes from the house of Florsheim is all hand-stitched and impressively designed in brogue and features a medallion toe and pink overlay edges. The Florsheim Montinaro Wingtip Oxfords are evergreen designer dress shoes that sport a classic look. The overall versatility of these mens Florsheim shoes makes them compatible with any custom tailored outfit for any casual or formal occasion. Wearing these with your favorite jeans and tee is not at all a problem. The flexible sole made from patented Toflex technology from the labs of Florsheim makes the shoe comfortable and flexible enough for all your needs and requirements. If a comparison is made between this product with that of the Ecco Wingtip Oxford, one could readily see the striking differences in the pricing category. Other than that both the shoes are made from genuine leather, the ones from Florsheim are made from full grain leather while the latter is made from top grain leather. This helps the Florsheim pair of oxfords last and perform longer than the other. After going through the product features and overall quality of the Montinaro Wingtip Oxford from the house of Florsheim, one would readily opt for the same as it is a fine piece of footwear that offers genuine leather at a reasonable price. The best part of the company is that they have revised their overall approach to customer satisfaction as well as after-sales service. If a customer receives a defective product they can approach any outlet of the company and apply for a replacement. On top of that, the breathability factor offered by Florsheim on these dress shoes is often seen on more higher end brands costing much more.